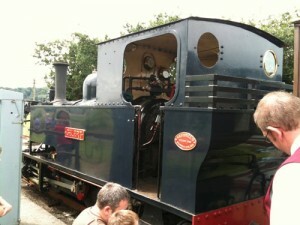 This is a delightful steam train attraction, located north of Porthmadog town centre on the A487 (Tremadog Road), which appeals to families, couples and of course railway enthusiasts both young and old. Run mostly by volunteers, you take a short train ride (just 2 stops) on the branch line top Pen-Y-Mount. Then, you can either wait onboard, or temporarily disembark to watch whilst the driver’s cab uncouples, repositions & recouples at the opposite end of the train for the return journey. 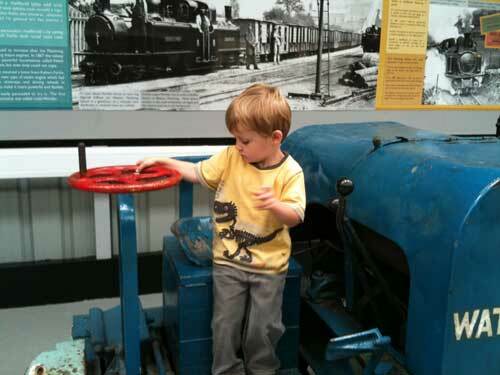 Next, the train starts the short journey back, but stops at the 1st station where everyone gets the opportunity to explore the museum and engine sheds. A further miniature railway where the rails are just 7¼ inches apart, but still manage to carry passengers over a girder bridge and a miniature viaduct and through a tunnel. In all, the trip takes just under an hour & it flies by. Your ticket is valid ALL DAY – so you can ride as many times as you wish ! This information has been provided to help families staying in North Wales find activities to do. If you have recently visited the Welsh Highland Heritage Railway and would like to share your experience, please feel free to make a comment below. We had a brilliant time at Trem Tudwall last year and couldn't think of anything to improve the accommodation etc. My little girl gave a talk at her school citing it as her best holiday ever, so there you go ! Abersoch Self Catering Accommodation - Trem Tudwall | All rights reserved.